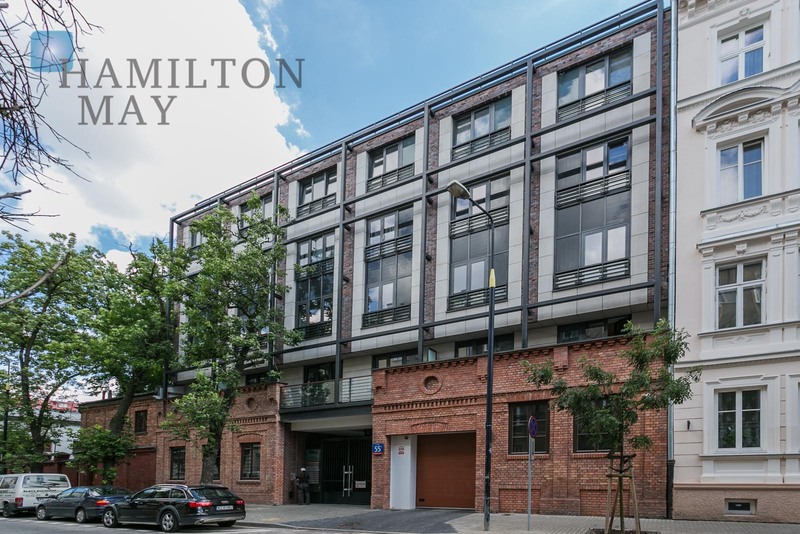 'Hoża 55' is discreet soft-loft investment that comprises 2 residential buildings - with 5 and 6 floors, with modern penthouse apartments on top floors. The particular attention was paid to the quality of the common areas of the investment, such as glassed lobby, uniquely designed green patio, as well as 2 level underground garage. This modern residential complex expanded upon the old bronze and silver factory of Łopieńscy brothers. The preserved elements of the historic facade grant the investment the warm, unique feel of true historic town house. The historic machinery - naturally blending with the building's structure - is a subtle, yet impressive reminder of the area's past. The building is located on Hoża street, which throughout the years managed to maintain the unique character of the street from the interwar times. It starts off the Trzech Krzyży square and runs across numerous Warsaw's thoroughfares. There are countless restaurants, bookstores and coffee shops located in the area. The unique location of the investment and high finishing quality makes 'Hoża 55' one of the most prestigious addresses in Warsaw. It's dedicated for those looking for a truly original spot - located in the very city center, while remaining quiet and peaceful.